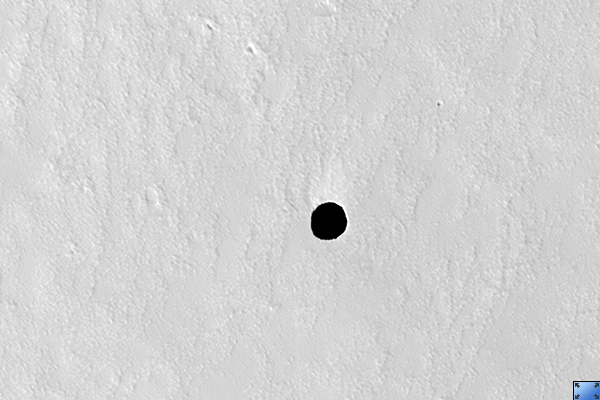 This HiRISE image ( PSP_003647_1745 ) shows a very dark spot on an otherwise bright dusty lava plain to the northeast of Arsia Mons, one of the four giant Tharsis volcanoes. 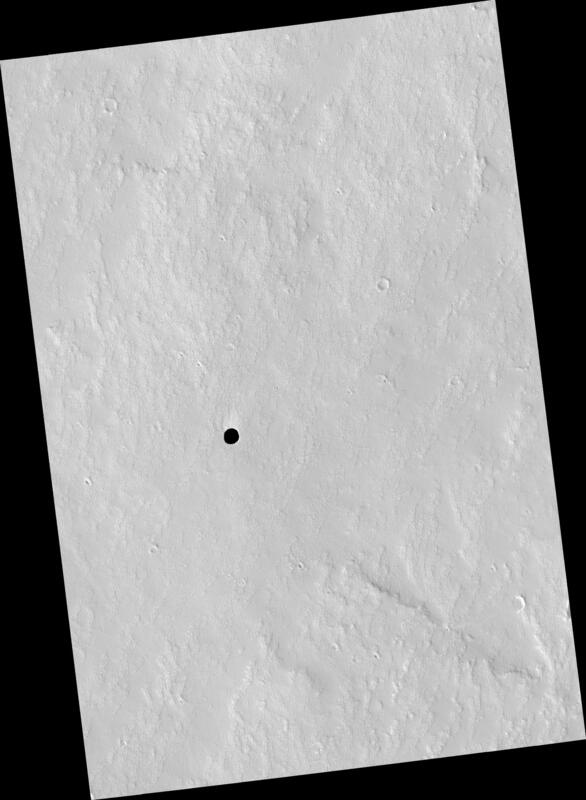 This is not an impact crater as it lacks a raised rim or ejecta. What's amazing is that we cannot see any detail in the shadow! The cutout shows this dark spot and a version that is "stretched" to best see the darkest area, yet we still cannot see details except noise. 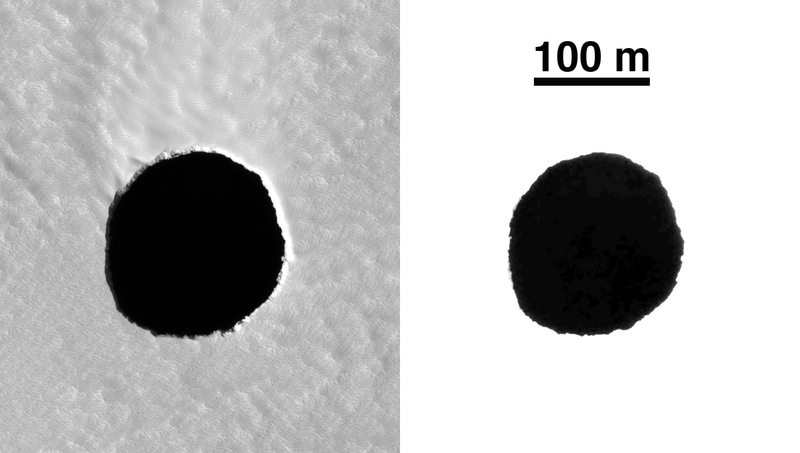 The HiRISE camera is very sensitive and we can see details in almost any shadow on Mars, but not here. We also cannot see the deep walls of the pit. The best interpretation is that this is a collapse pit into a cavern or at least a pit with overhanging walls. We cannot see the walls because they are either perfectly vertical and extremely dark or, more likely, overhanging. The pit must be very deep to prevent detection of the floor from skylight, which is quite bright on Mars.